I just finished listening to this podcast. It was really good… I like them both a lot… I’m definitely more in Sam Harris’ side in this discussion. I think Russell will come around to his way of thinking eventually. Here’s another shot I took out of my hotel room at the Ritz-Carlton there in Shanghai. It was the end of our Asia tour and I was feeling exceptionally lazy, so sometimes I would just relax in my room, read books, and then lazily walk over to the window and take some photos. I’m not used to being lazy, and it made me feel rather lame, actually. I’m generally much more stimulated when I’m running around doing ten different things. I mean, I can still be quiet and meditate for a while, but, when that is done, I’m ready for extreme action! Don’t forget you can hover over the daily image (or click on it) to get all the EXIF info you need… like today you might be wondering about how many seconds the exposure was. Well, I’ll save you the time here: 1.3 seconds. What a cool tunnel eh? I first visited here about eight years ago and got a similar photo. I didn’t end up going back to this tunnel until my final night in Shanghai. I was thinking “oh, why bother… I already have that shot”. I wasn’t too enthusiastic, but then I got back in and forgot how fun it was to get these sorts of shots. I like them because you really are not in too much control over how the long exposure will finally look. During my 150km hike with Kevin Kelly and a bunch of other awesome people, we took a break to record this podcast below. Kevin has this show called “Cool Tools” where he talks to people about what kind of tools they use. Enjoy! Also, if you wanna see the 360 video I did with Kevin, check this blog post!! One of my favorite kinds of photos is to take photos of other people taking photos. I’ve been taking photos for quite a while now, and I see a lot of people just now getting into the sport. I think it is very interesting to watch how people pose other people to try to get the best shot. There’s always some level of confusion as they move people this way and that. The only problem with these sorts of photos is when they see me with a big camera and then think, “Hey, that guy knows what he’s doing, let me hand him my phone so he can take photos of us!” I always say yes, and then I, of course, try my best to get them a memorable photo. Hey, I’m going to recommend Google Keep for note-taking. I used to use Evernote, but I find it a bit too cumbersome. And, it’s constantly telling me to update and send them more money. I thought I was a paying member, but one day it locked me out and would not let me add more notes. Confused, I went over to Google Keep. Note this is not a paid sponsorship or anything… I just really like it! You don’t know how difficult it was to get this photo! It seems pretty easy because there is an entire mile of railing on the Bund side that looks across to the Pudong side of Shanghai. But, on this evening (the evening of the photowalk), people were stacked 6 deep along the railing. And not just any people. Chinese people. Their stacking density is 4x normal cultural stacking density. The means that getting up to the front with a giant tripod was a bit like a salmon trying to swim up a waterfall. And none of them knew any English, so I had great trouble explaining I was only going to be there 30 seconds and they can get back to their normal uncomfortable situation. 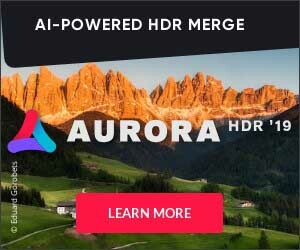 Here is a little video we put together for the Aurora HDR Pre-Order launch. If the idea of low noise, no halo HDR images appeals to you, then check it out here where you will also get loads of pre-order bonuses. If you’re looking for really cool business cards, try Moo Cards. I love it because I can upload dozens of photos and then each card is unique. It’s kind of fun to give people your card and splay them out so they can pick their favorite photo! One of my favorite things about Asia is you can ask anyone in public to do anything at any time and they will say yes. This comes in very handy for trying to set up a shot! For example, I was here taking photos of this amazing reflection of the Bund in Shanghai in the rain. People were walking around with umbrellas, but they were moving too fast for me to get a good exposure. There were a couple of girls taking photos of one another and I went over to offer to take their photo together. After that, I asked if this girl would walk slowly with her umbrella. She was excited to do that… I generally find if you’re really nice to people and ask them to do things they always say yes. See these three buildings in today’s photo? You can probably pick them out in this new video below. Just look for the three tallest ones in Shanghai. I think I show them 2 or 3 times in this video. I’m not 100% sure that these three buildings in Shanghai are called “The Three Sisters” but I will continue to call them that because I like the ring of it. They are three of the tallest buildings in Shanghai, and they’re all clustered together in Pudong. This photo was really difficult to take because it was raining at the time… it’s not exactly easy to keep the rain off your lens when you’re aiming straight up! I could only go as wide as 24mm here, and I wish I would have had a lens that let me get down to 12mm or so, as I think it would be a much more impressive shot. Still, it’s okay, I think. My friend that works over at NZSki just sent me this video from the Remarkables Ski Field. We have three different ski fields here near Queenstown. All are pretty close together except for Cadrona that takes about a 45 minute drive. Anyway, check out this video! I mentioned before how it rained most of the days that I was in Shanghai, but that didn’t bother me at all. Unfortunately, my long-gone assistant spent half his time on another gig, so I didn’t have anyone to hold an umbrella over me. I know that sounds like a real primadonna kind of thing to want, but it’s almost critical because you need two hands to operate the camera. I’ve tried locking the umbrella in my bent neck (like a 1970’s phone receiver), but that doesn’t really work because there’s not enough diameter to keep it from spinning around all over the place. So, I just had to be really quick and try my best. Great Job on the New Bag! Once again, Peak Design has launched a great Kickstarter campaign! On day 1, not only did they reach their funding goal, but they broke a million big ones. I’m very happy for them! On my tour of Shanghai, I ended up in the what was the French Concession. Inside of all these old homes, you can see the old style of water distribution. This particular apartment had 5 different places to live, and each family has their own water supply. So when you go to the toilet (or wash your hands or take a shower), you have to use your own water supply. Can you imagine? We don’t always do photo walks in every city, but I do them as frequently as possible! Be sure to check out our 80 Stays website to see more about this fun tour around-the-world tour we are doing! Daily Photo – Shanghai Photo Walk! Thanks again everyone for meeting me at the Shanghai Photo Walk. What a fun event that was! It’s great to meet so many enthusiastic photographers of all levels. Wow, I can’t believe how crowded the Bund was on this evening. We almost lost one another a few times… If I had known it was gonna be that crowded, I never would have chosen that spot… but it still worked out great. Thanks again!